We're seeking driven and motivated people with experience! Email your resume/CV. The Television Training Academy is a subsidiary of the TV Training Group Ltd which includes the UK's leading TV presenter training facility in Pinewood Studios, London. We've been training people to become TV Presenters for over ten years and many now appear on BBC, ITV, Sky and other major TV channels world wide. TV Training Pty Ltd (Trading as The TV Training Academy) prides itself on the quality of training we offer our students and corporate clients. Following 10 years in the UK and expansion to other geographic regions, demand for our courses is growing throughout Australia and, as a result we need more quality trainers to help us deliver our sessions to a wider geographic region (outside of major metropolitan areas). We would expect to receive a CV and/or show reel/video CV together with a covering letter. 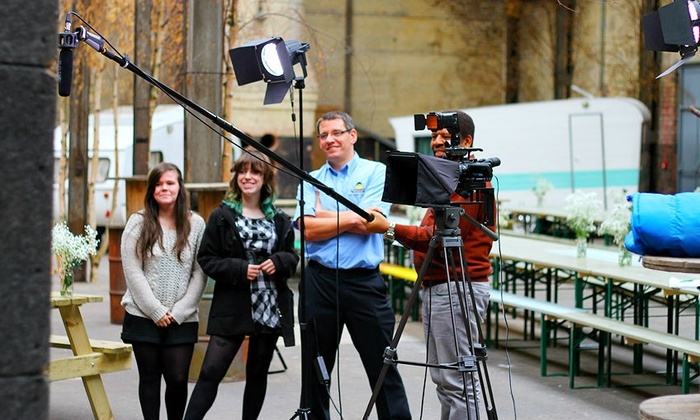 As a TV Training freelancer you will have First Hand experience of TV Presenting, Directing or Producing and will be able to deliver our training plans effectively, confidently and with great enthusiasm. The ability to use basic audio and video equipment is advantageous but training will be given in this area. You must be a car owner and willing to occasionally stay away overnight is a must. Daily rates are offered for TV Presenting taster days but increase for corporate bookings, mileage and expenses are remunerated in the usual fashion. Opportunities exist for inter company transfers with long term and short term/job swap positions available with TV Training Global Ltd subsidiaries and affiliates (UK, India, USA, South Africa, Malaysia etc.). The TV Training Academy is looking for an Intern to assist the office/studio supervisor and gain experience in booking management, talent/trainer liaison, book keeping and basic accounts. Your duties will include organising our training courses and Production days, some book keeping as well as overseeing the day to day running of our small office. Strong administration and organisation skills essential and a working knowledge of Xero is a strong advantage. This position has great potential to become a pivotal role within our small but rapidly growing company. Starting salary & benefits is in keeping with similar internship roles and may increase after successfully completing a 1 month probation. Supervising and monitoring the work of admin assistant, editors and designers. General filing and record keeping.